Learn to defend yourself and your loved ones in any situation! 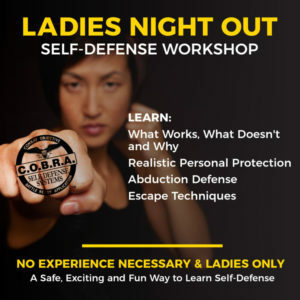 The COBRA Self-Defense System is a law enforcement-based program for use in the real world. This is not a sport. This is not martial arts. You cannot tap out in real-life. Visit our Facebook page for recent videos and photos!